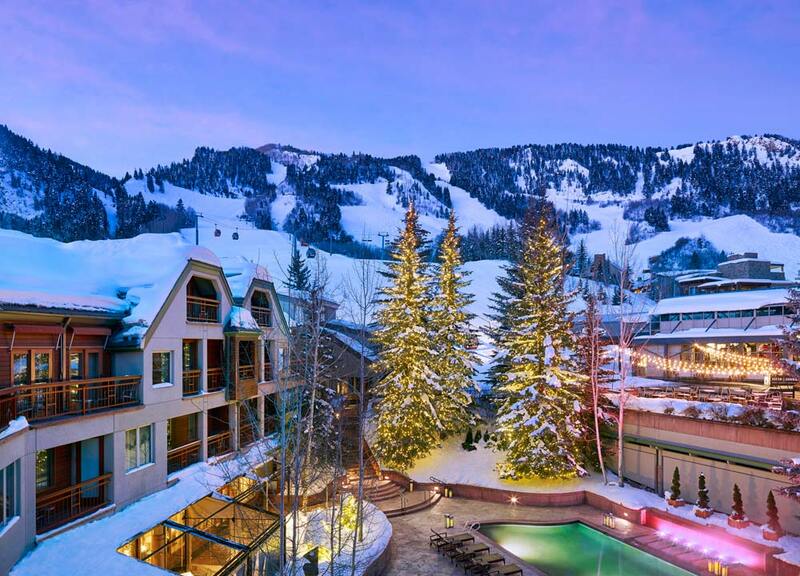 Aspen's only ski-in, ski-out hotel, The Little Nell is a luxury hotel with the city out the front door and Aspen Mountain out the back door. Offering mountain and lobby concierges, the property prides itself on hospitality. Designed as a gathering place for the free-spirited, the hotel is a year-round destination for food, wine, art, and adventure activities. Continue reading below. Tip: visit the hotel for New Year's Eve when the resort hosts "The Dom Perignon Party" with DJs on multiple levels of the hotel, open bar, food stations, and bottomless Dom Perignon. There's also three snowcats, or "NYE Clicquot Cats" available for buy-out for up to 12 guests for a unique view of the fireworks shows over Aspen Mountain. Five Star Alliance Perk: All guests making reservations with Five Star Alliance receive a daily breakfast credit for two at Element 47 restaurant, $100 food and bevearage credit, personalized welcome note, and VIP status. Also, subject to availability, room upgrades, early check-in, and late check-out. Two words: The Shining. The Stanley Hotel was made famous by the Stephen King book and Stanley Kubrick film. King wrote much of the novel while staying in Room 217 at the hotel. The film wasn't shot there, and the hotel in the film is called Overlook Hotel, but a later TV movie was. The hotel fully embraces its haunted history. In fact, it might be the world's only hotel that offers an upgrade to a haunted room. The Ghost Adventure package includes a guaranteed 4th Floor room, a K2 Meter per reservation, a glow-in-the-dark Stanley Hotel squishy ghost per person, and a REDRUM mug per person. No one knows when the ghostly happenings started at The Stanley, but virtually all the rooms have had unexplained experiences reported. but unlike the movie, all the instances reported involve friendly, rather than malevolent, spirts. - In 1911, the chief housekeeper was involved in an explosion in what is now room 217. She wasn't killed, but her ghost is known to perform extra housekeeping duties in the room. Expect unexplained unpacked bags and tidying. This is the room Stephen King occupied during his stay at The Stanley. - Children are heard running and giggling in the hallway of the 4th floor. Somes guests will be tucked in by ghostly nannies. Room 418 is said to be the most haunted room in the hotel. - Frequent guests F.O. and Flora Stanley haven't let death stop them from regular visits. It is de rigeur to see F.O hanging around the lobby and Flora often plays the piano in the Music Room. - The Earl of Dunraven, the former owner of the land on which the hotel is built, haunted room 407. The scent of his tobacco is often smelled in the air, and a ghostly face has been seen at the room's window. Do you dare to check in to The Stanley Hotel? 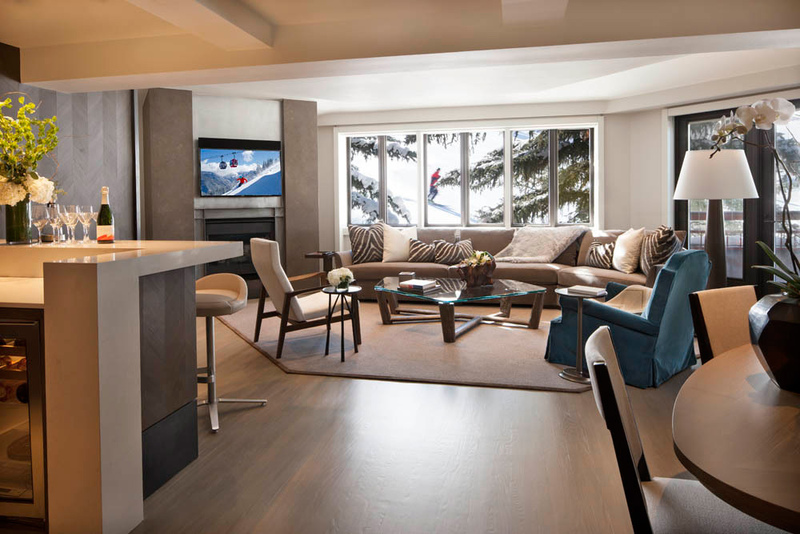 The Villas at Snowmass Club is a 19,000 square foot mountain club paired with spacious villas offering guests premier amenities to enjoy during a vacation in the Colorado Rockies. It is situated in Snowmass Village overlook Mt. Daly and the Elk Mountains, and is minutes from the Two Creeks chairlift. QUESTION: We looking to stay in Aspen, Co. What resort offers the best accommodations for our family? The Gant is located in a secluded five-acre enclave at the base of Aspen Mountain, just four miles from the Aspen Airport. 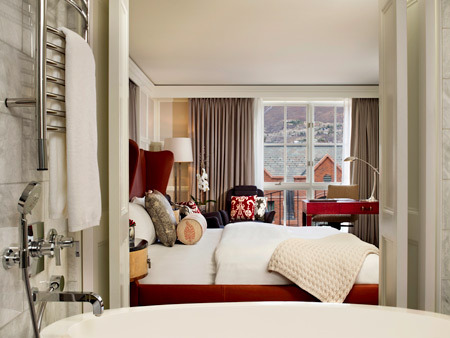 The hotel lies three short blocks from the ski lifts and downtown Aspen. Aspen Highlands and Buttermilk ski areas are two miles away and Snowmass ski area is 12 miles away. All three are accessible via free public transportation. Guests of the Gant have the use of five tennis courts (three clay), two heated outdoor pools, three jetted tubs, laundry facilities, barbecue grills, ski and bike storage, and an exercise facility with locker rooms and saunas. For an additional fee, overnight ski tuning, ski rentals, babysitting, overnight valet service, and grocery/liquor services are available. Although there is not a full service restaurant inside the hotel, there are dining destinations nearby. The hotel has 120 guest units on three floors. One, two, and three-bedroom units are available. Each guestroom's fully equipped kitchen makes it easy to prepare meals in comfort and privacy. Standard amenities include an alarm clock radio, balcony, fireplace, hairdryer, iron, ironing board, safe, and television. The Gant also manages 140 individually owned and decorated luxury condo rentals ranging in size from one to four bedrooms. All of The Gant's accommodations are rated standard, deluxe or premier based on their interior decor and regardless of view. -Standard units - Comfortable and cozy condominiums at a reasonable price. -Deluxe units - Luxury condominiums with a great deal of decor and decoration. -Premier units - The most luxurious accommodations, boasting sumptuous furnishings and incomparable style. The St. Regis Aspen Resort, nestled within the mountains in Aspen, Colorado is the perfect place to experience the best of every season. Visit in the winter for some of the best skiing opportunities, or visit in the summer to participate in great summer sports activities and the arts. This luxury hotel will host Chef Duangporn Songvisavia (Bo) and Chef Dylan Jones from the renowned Herland Thai Restaurant Bo.Lan in Bangkok, Thailand. The chefs will prepare Thai infused cuisine from February 14th – 19th during Apres teas and dinner. During Apres tea, guests can choose from a menu of small plates, and for dinner, guests are treated to a unique pre-fixe menu carefully put together to ensure a well-balanced meal. The dinner menu will feature Thai salad, chili relish, a stir-fried dish, curry, and soup. Holding true to Bo.Lan’s ‘slow food’ philosophy, the foods will feature locally sourced ingredients and produce. The Apres tea menu will be served from from 3 – 6pm in the Shadow Mountain Lounge, and dinner will be served every evening 6 – 10pm in The Restaurant. Enjoy authentic Thai cuisine without needing to leave the United States! Make your reservations at the St. Regis Aspen Resort and send your taste buds on an adventure! In the final days of 2011, Five Star Alliance is counting down the Top 20 Luxury Hotels & Resorts Worldwide, as decided by our guests. 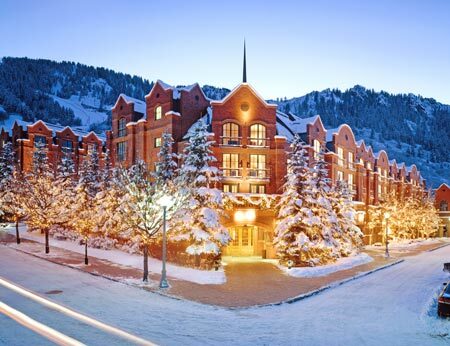 In the #20 Spot we have The St. Regis Aspen Resort located at the base of Aspen Mountain. - The resort is finishing a $40 million dollar renovation leading up to the 2012 ski season, featuring 20 remodled rooms, renovated meeting and restaurant space, new library, and resurfaced pool, hot tubs, and pool deck amongst other updates. - Located at the base of Aspen Mountain between the gondola and lift 1A, the resort is convenient to Aspen Highlands, Buttermilk, and Snowmass ski areas. - 179 guestrooms and suites, including two 2,000-square-foot presidential suites. - Dog friendly rooms available and includes in-room pet beds, dog walking service and more. - The Resort offers the St. Regis Signature Butler Service which includes packing and unpacking, laundry service, shoe shines, and many other personal assistant services available 24-hours a day. - Heated outdoor swimming pool with sundeck and three heated outdoor spas. - A luxurious 15,000-square-foot resort spa with 15 treatment rooms. Remède offers a complete treatment menu in addition to customized facials and massages. Remède Spa at St. Regis Aspen is the flagship spa of a new global spa brand. - Rated a United States Leading Ski Resort by World Travel Award. Adrenaline junkies, take note. 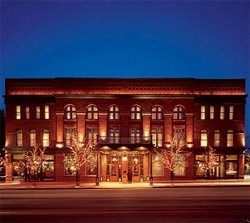 Aspen's historic Hotel Jerome has teamed up with Aspen Expeditions to give you an experience of a lifetime. Always dreamed of reaching the summit of a 14er? Now you can with the hotel's "Stay, Play & Climb" package, a three-day experience that combines luxury accommodations with a climbing adventure on a technical 14,000' peak. Starting at $715 per person, the package includes three nights of lodging at Hotel Jerome, one privately guided climb of a 14,000' peak outside Aspen, CO, and a Marmot Driclime jacket per person. Blackout dates may apply. Offer valid for new reservations only. Another special offer for adrenaline hounds: The "Blazing Adventure" package includes free adventure excursions, plus a daily $50 breakfast credit, when you reserve a stay through October 2, 2011. Book a stay of one to four nights for two people and get a free rafting, hiking, biking, four-wheel-drive or other outing per person. As The Washington Post points out, the best rates are for four-night stays at $333 per night double, down from $459. And the tours are valued at $99 each. Add $66 per night in fees and taxes. Think Aspen is just for the snow-lovin' ski bunnies? Think again. Surrounded by stunning mountainous wilderness, this choice Colorado destination is just as happening in the summer months. The Aspen Music Festival runs for eight weeks (through August 21) with concerts and Shakespeare productions. The Aspen Arts Festival takes place on July 23rd and 24th when Wagner Park morphs into an open-air art gallery with over 175 exhibitors showcasing jewelry, pottery, sculpture, glass, ceramics, paintings and prints. August means the USA Pro Cycling Challenge, an intense seven-stage race which will put cyclists in Aspen on August 24, followed by the 2nd Annual Big Aspen BBQ Block Party on August 27th and 28th. The sister event of New York City's acclaimed barbecue block party (hosted by Danny Meyer's Union Square Events), the extravaganza in Aspen will take place at the base of Aspen Mountain, where some of the country's top pit masters will be serving up mouthwatering barbecue. 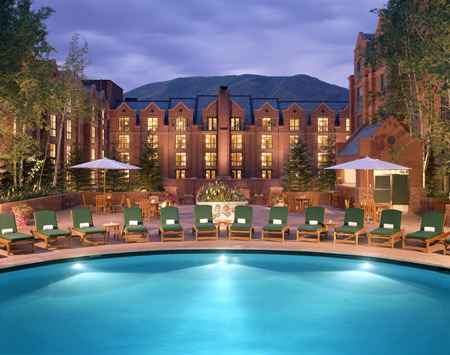 Hot deal: The St. Regis Resort Aspen is offering 20% off their best available rates for guests in residence during one of these spectacular summer events. Available through September 5, 2011.